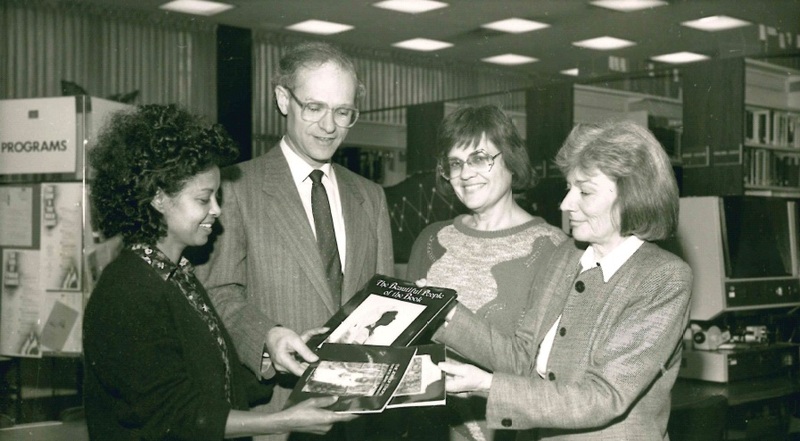 1981-1991: Around 30,000 Jews immigrate to Canada; many are from the former Soviet Union and settle in Montreal. 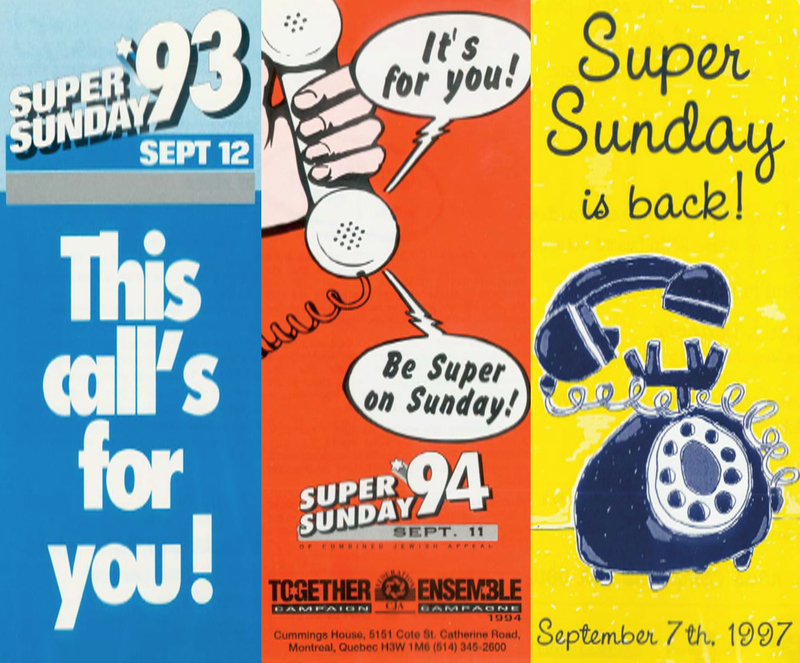 A selection of posters to publicize Super Sunday. 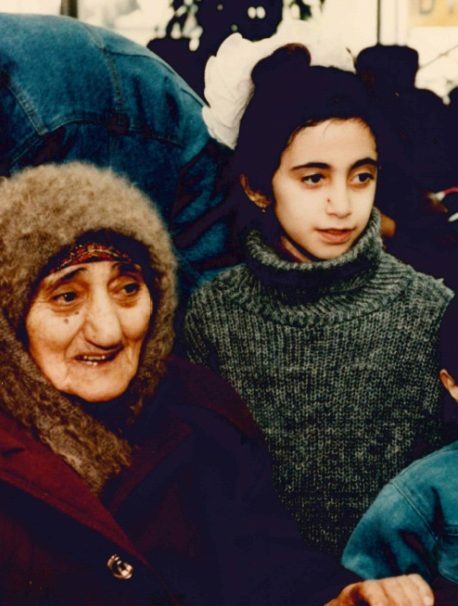 The first March of the Living delegation in 1987. 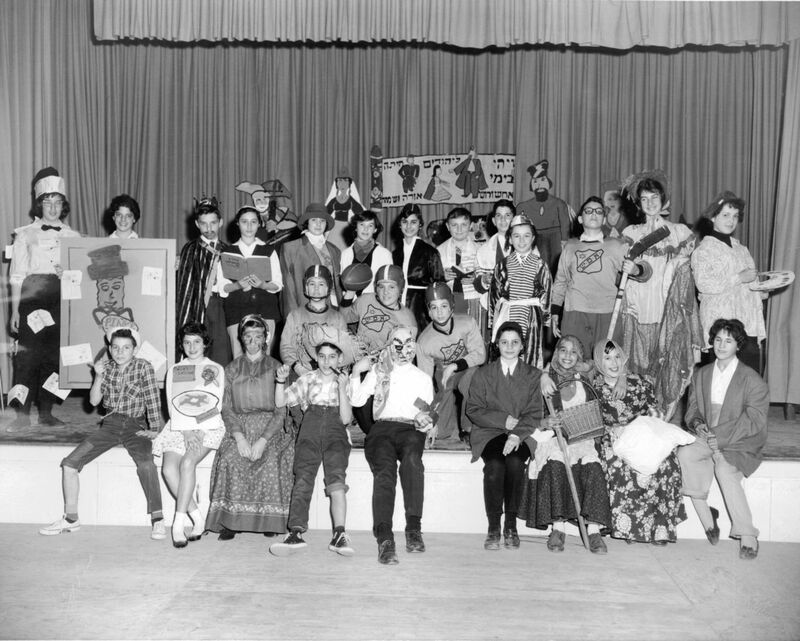 Jewish People's School celebrates Purim. In 1993, the Montreal Canadiens win the Stanley Cup against the Los Angeles Kings, the last Canadian team to win the Cup. 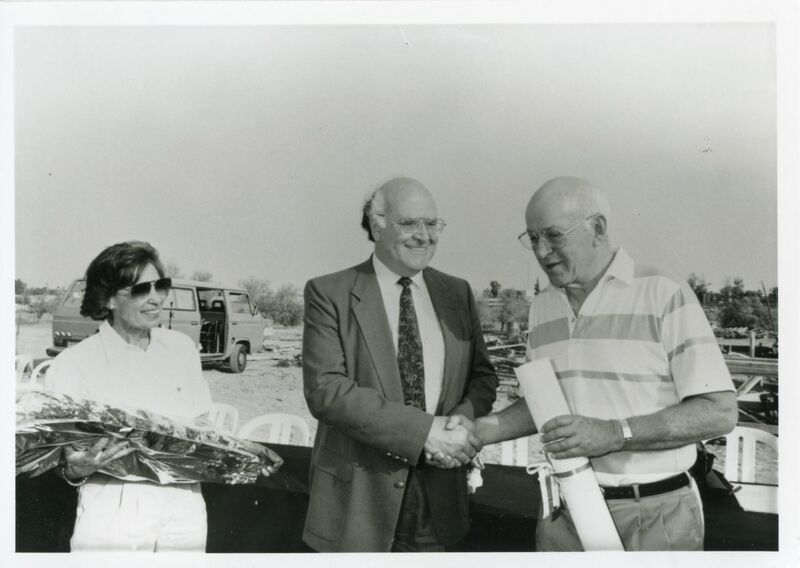 Images from the Beer Sheva Project Renewal, 1988. 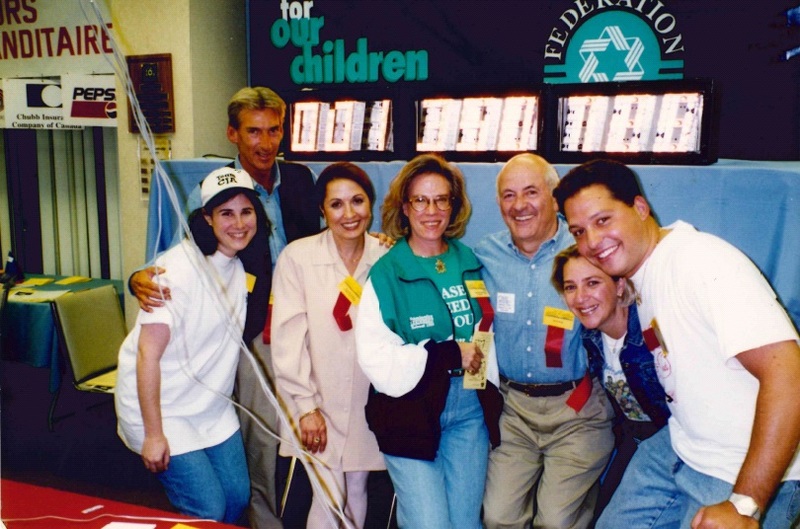 Federation CJA's 1991 Mission to Israel: "Exodus '91." 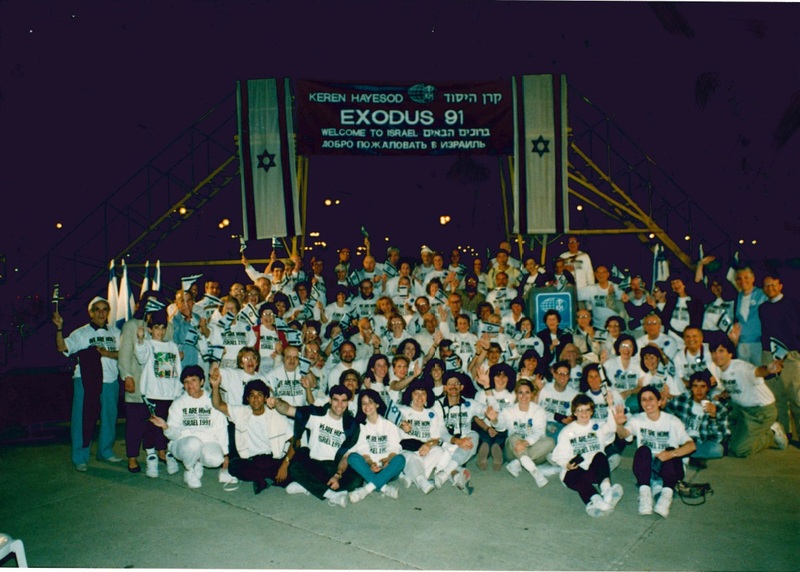 Federation CJA's 1991 Mission to Israel: "Exodus '91". 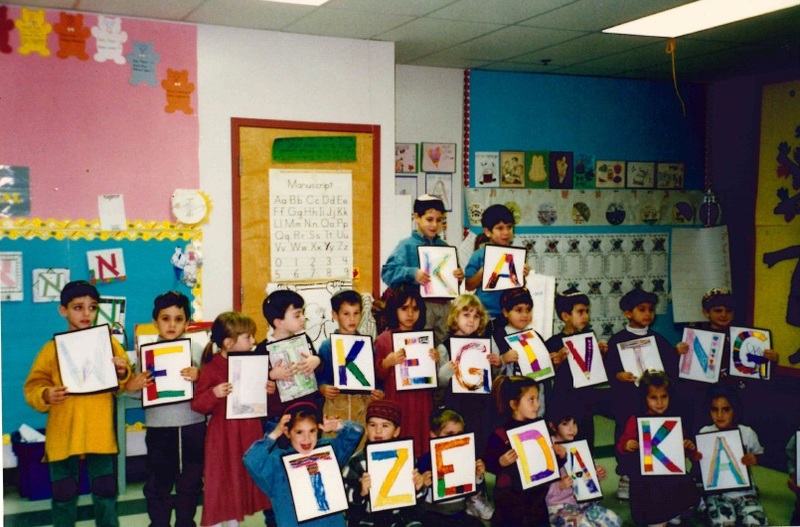 The Hebrew Academy kindergarten class of 1995. 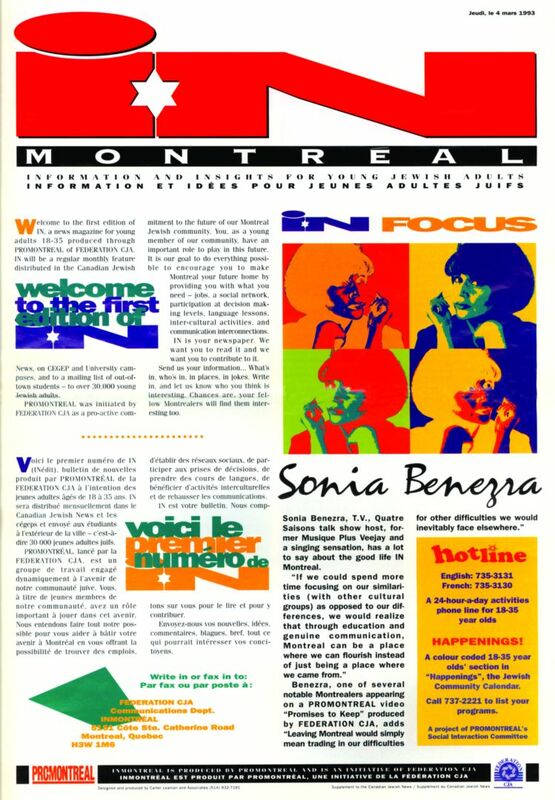 Promotion for the 1996 Montreal Mega Mission was well-underway by May '95. 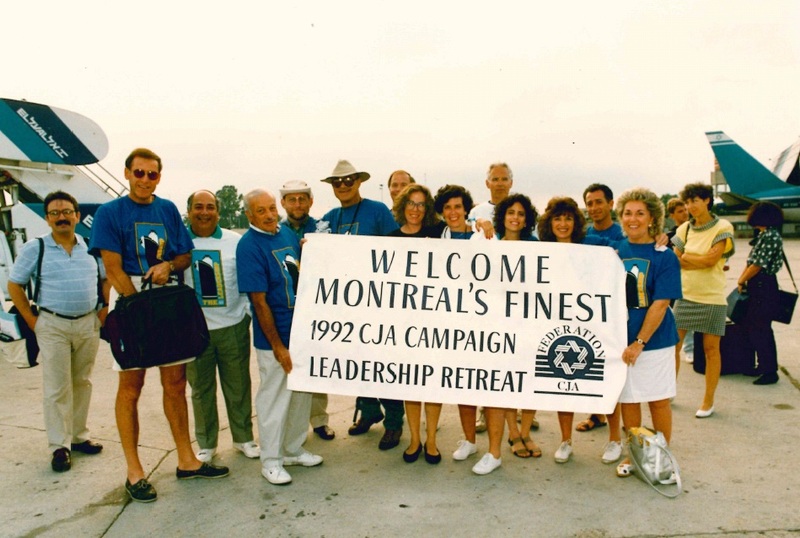 The 1992 Federation CJA Campaign Leadership Retreat. 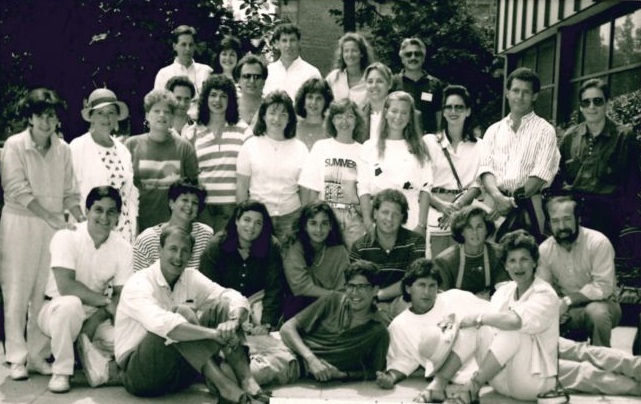 YAD Mission participants in 1989. 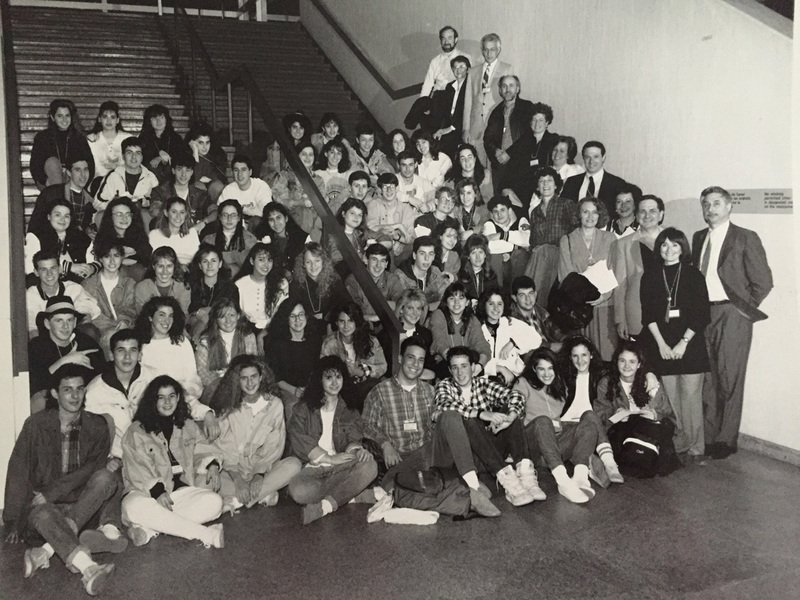 1992: The 205 meter tall downtown skyscraper, 1000 de la Gauchetière, becomes Montreal’s highest building. 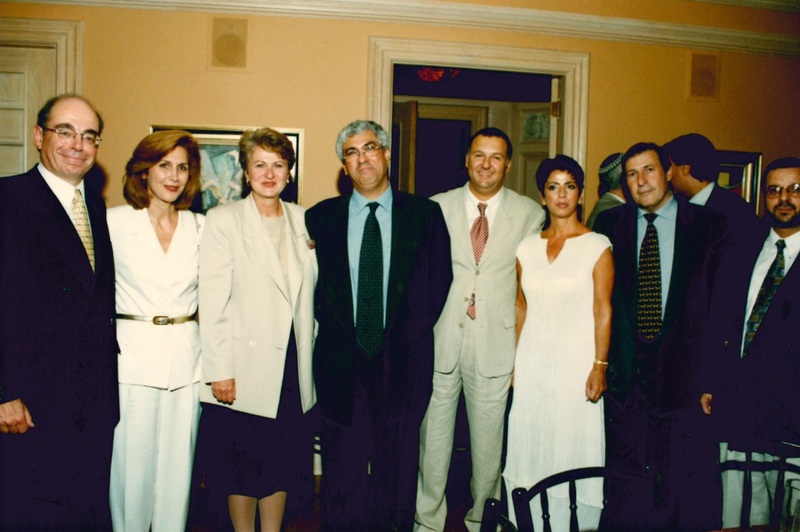 Opening of the Sépharade Campaign, September 1996. 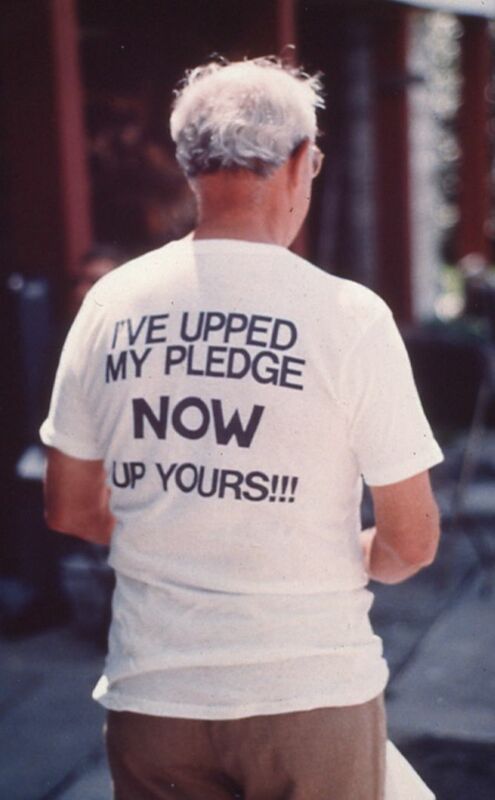 A campaign t-shirt from the 1980s. 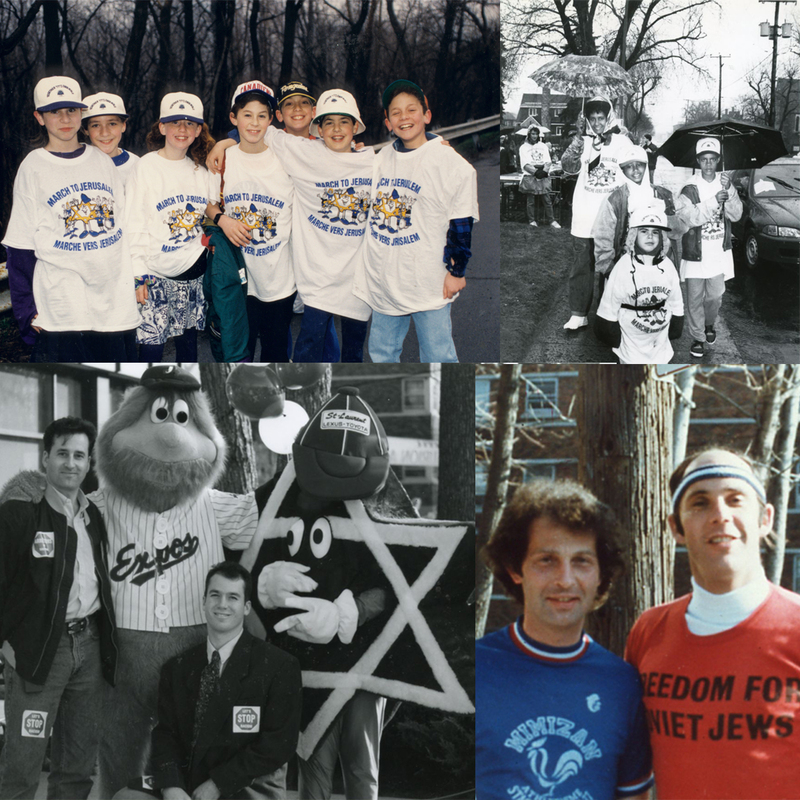 In 1993, Federation CJA launched INmontreal, a quarterly publication, to inspire Montreal͛s young Jews to recognize the vitality within our community and to encourage them to pursue their futures here. 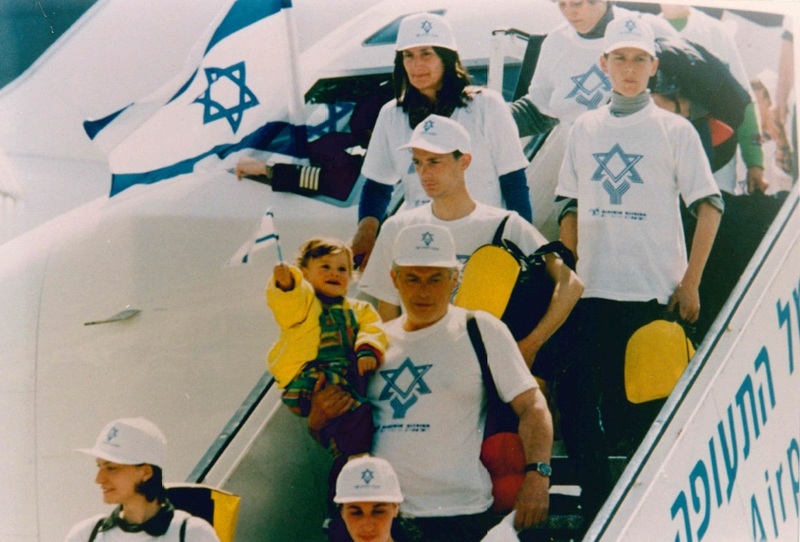 Soviet Jews arrive in Israel in 1991 as part of Operation Exodus, an important international initiative to help Jews escape the rubble of the collapsing Soviet Union. 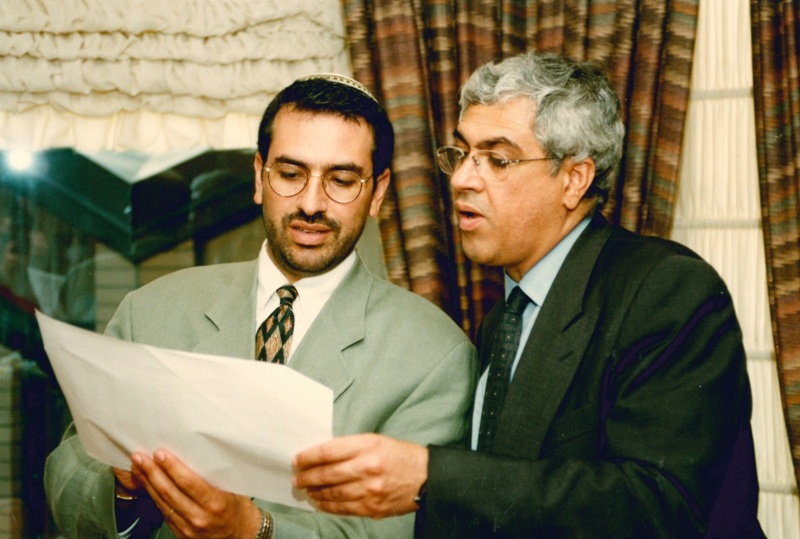 Since 1988, the Montreal Jewish community has been a partner in the development of the Negev city of Beer Sheva, and surrounding region of Bnei Shimon. 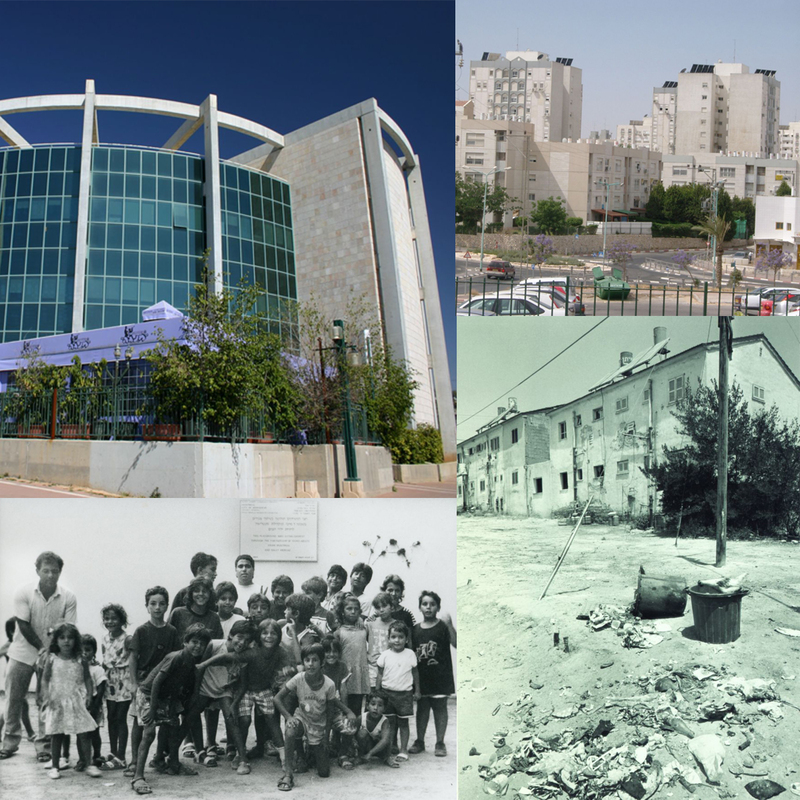 Beer Sheva has grown into a thriving metropolis. 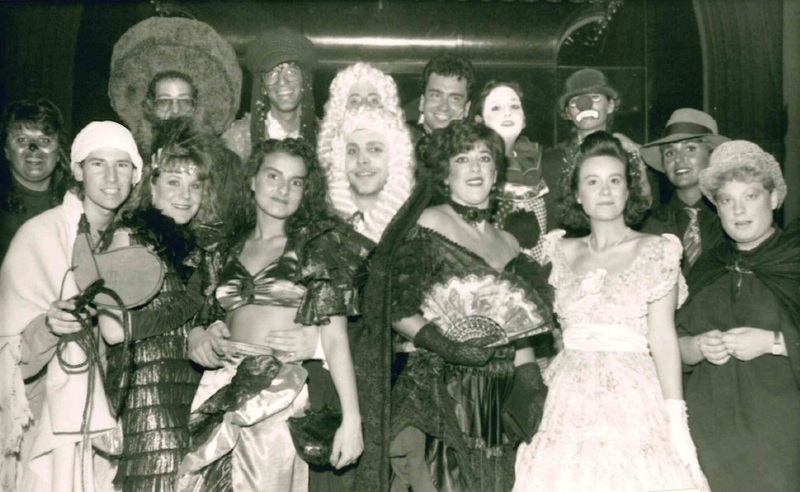 The Festival Sépharade is the largest exposition of Sephardic and North African arts and culture in Quebec. It is run by the CSUQ. 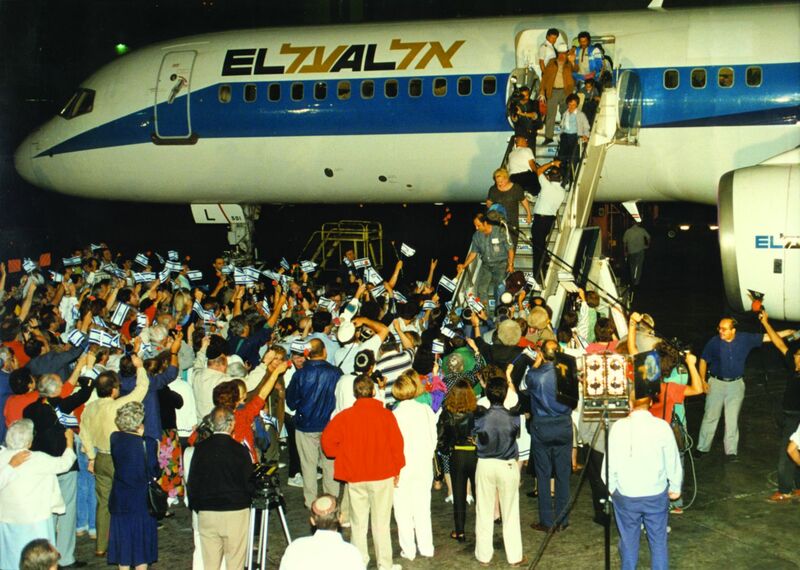 Since Operation Solomon brought 14,000 Ethiopian Jews home to Israel, several missions have been launched to save more Ethiopians from despair and poverty. 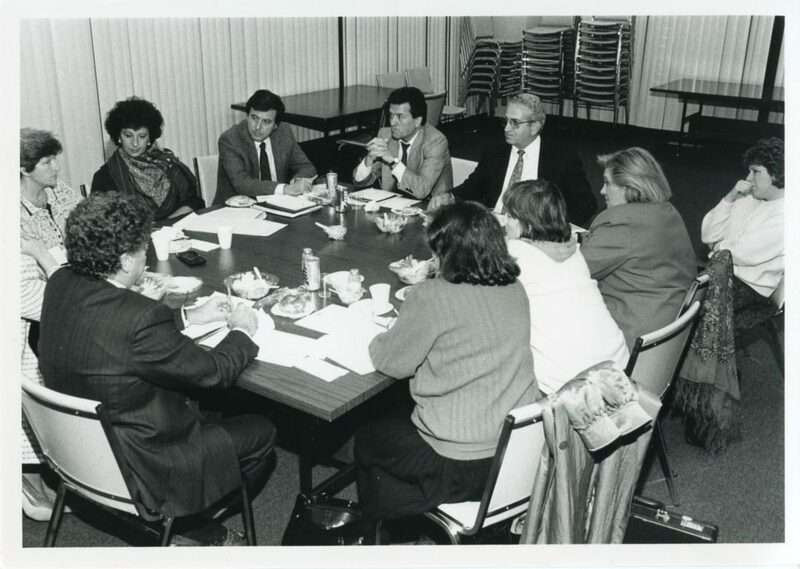 Federation CJA began its close relationship with the Negev capital, Beer Sheva, and surrounding region of Bnei Shimon in 1988. 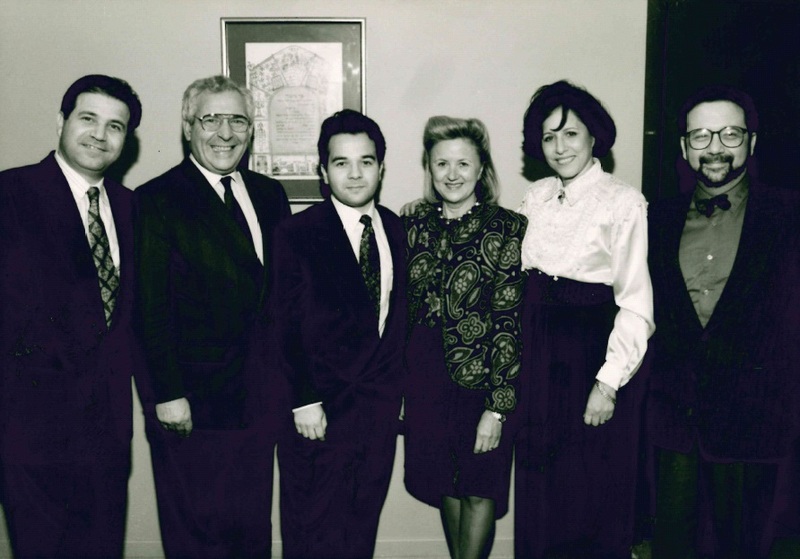 Over the years, Montrealers have contributed greatly to improving the quality of social services and education in this part of Israel. 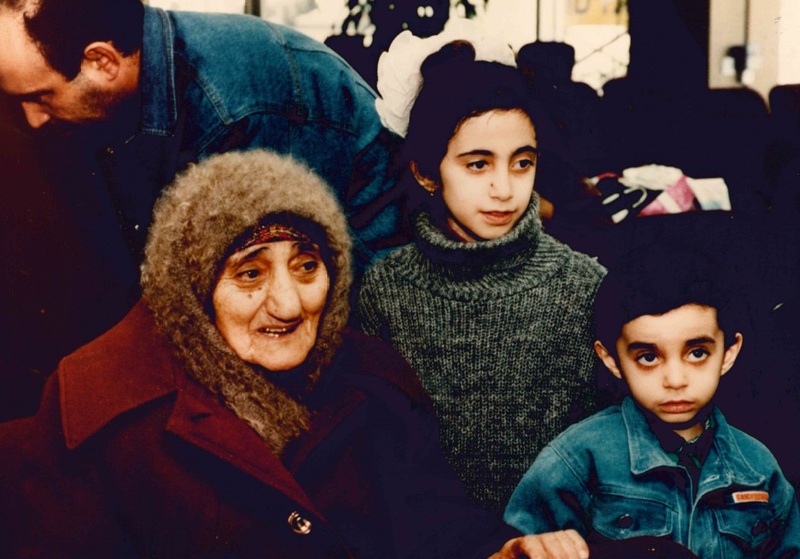 In 1991, the collapse of the Soviet Union opened the way for Jews to leave the country. 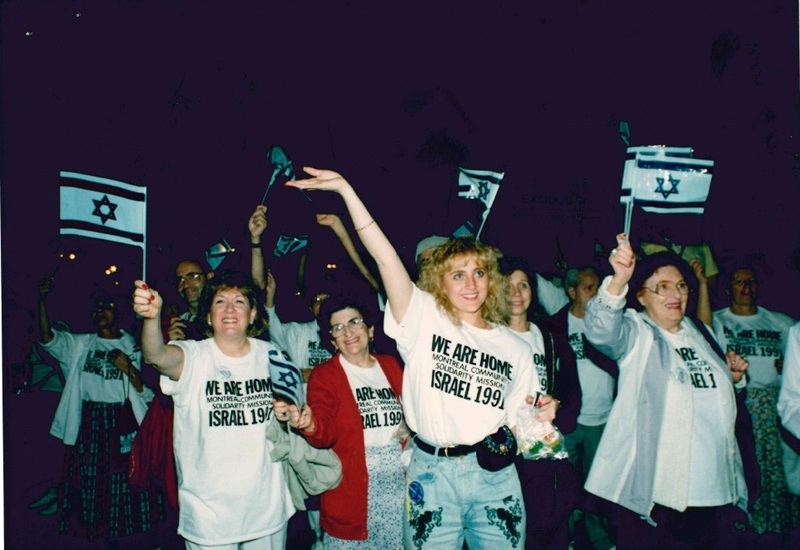 Many chose to settle in Israel, but more than 3,400 came to Montreal. 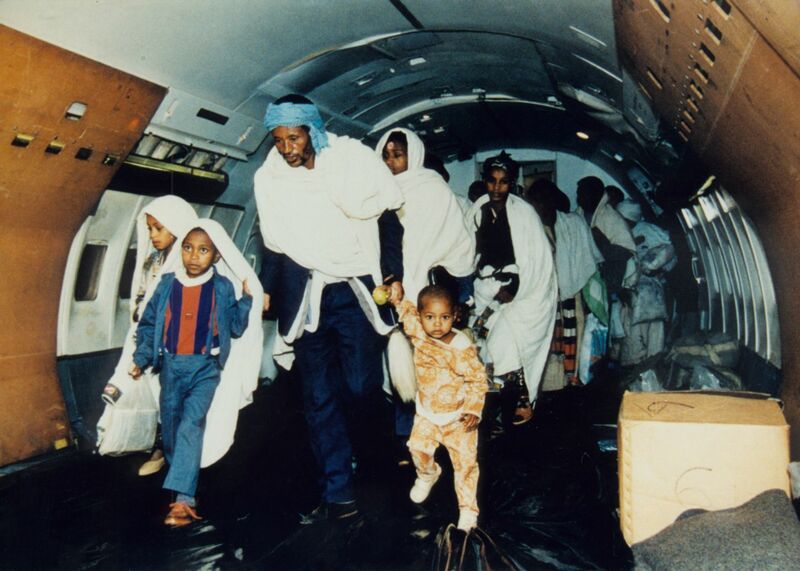 At the same time, Israel began rescuing Ethiopian Jews, who were suffering great hardships in their impoverished homeland. 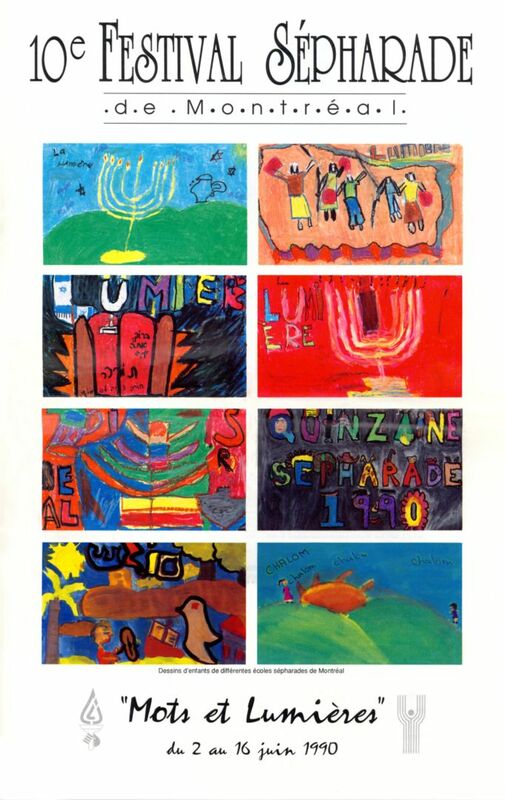 Many of the refugees settled in the Beer Sheva area, so Montrealers were naturally drawn to this endeavour. 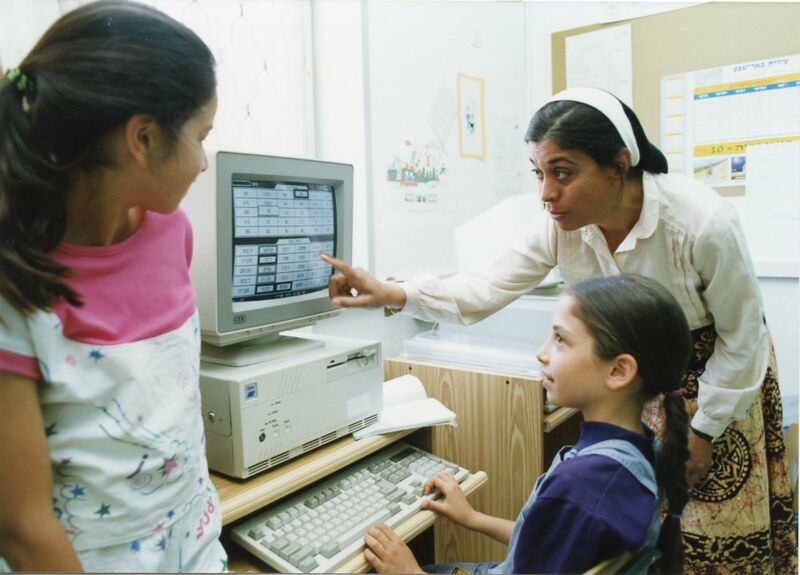 Many projects aimed at successfully absorbing and integrating these new Olim were implemented. 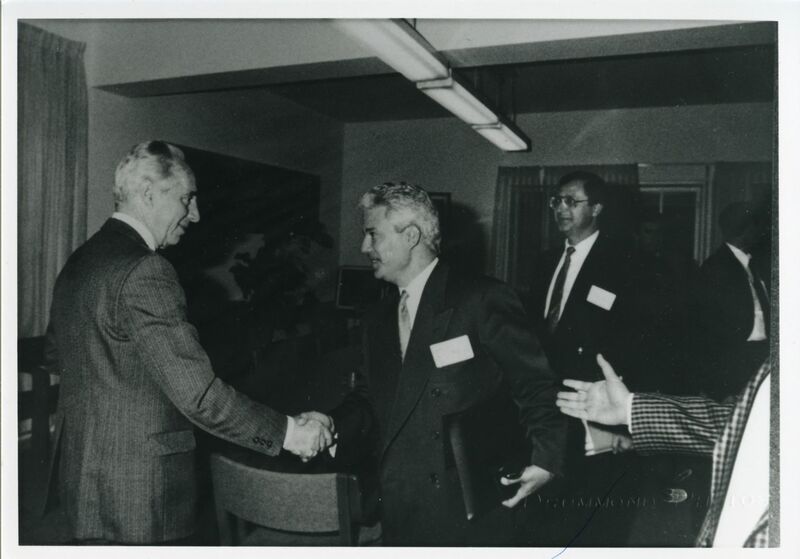 The second referendum on the sovereignty of Quebec was held in 1995, and this time, the tally was much closer. 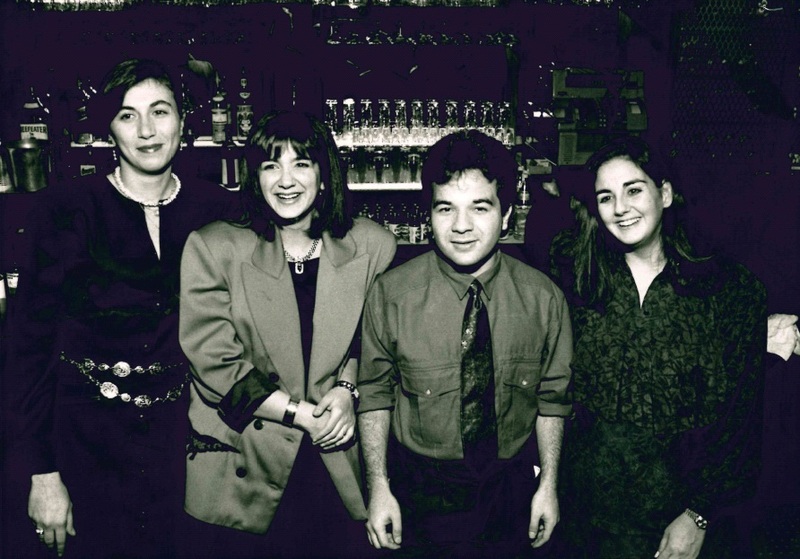 50.1% of Quebecers, out of a voting population of 93%, voted to stay in Canada. 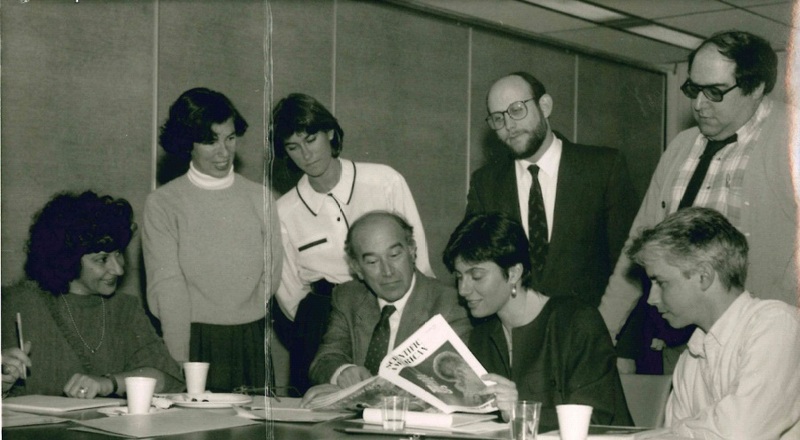 Recriminations on both sides of the issue have dogged Quebec-Canada relations, but subsequently, Canada has declared Quebec a distinct society. 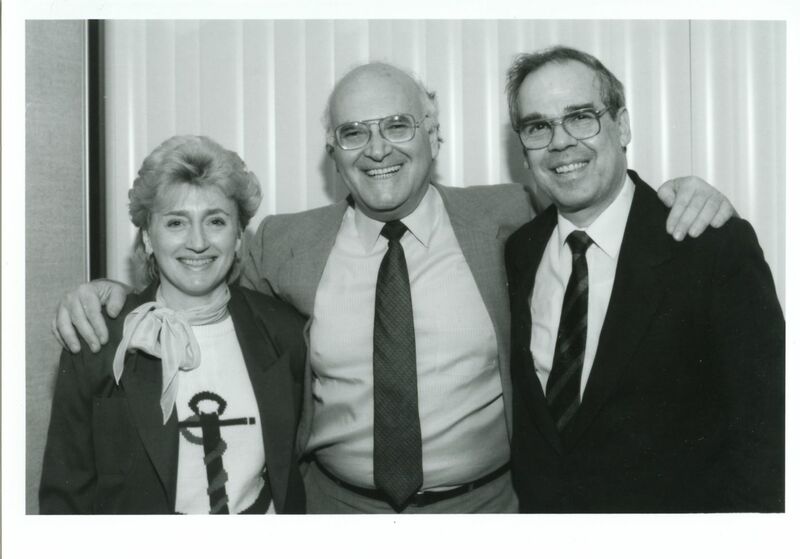 1988 - Irving J. Halperin, Q.C. 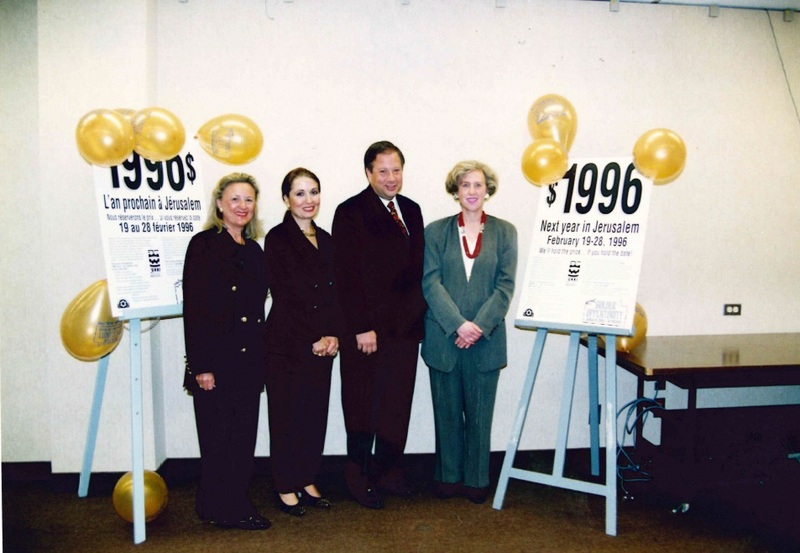 1995 - The Honourable Sheila Finestone, P.C.